Andrea's passage to Formula One was eased by strong Marlboro connections. However, along the way, he was world karting champion, finished second to Chico Serra in the 1979 British Formula Three series and placed fifth for Ron Dennis' Project Four Formula Two team. 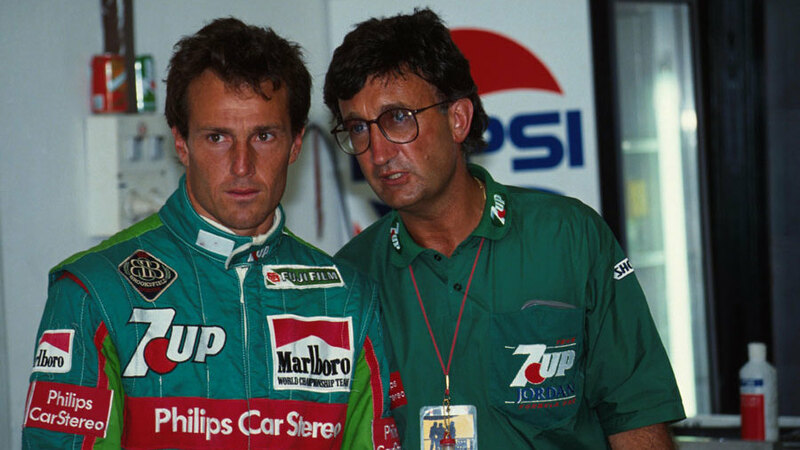 Before 1980 was out Andrea made his Formula One debut with Alfa Romeo. He drove for McLaren in 1981, but was he wild! By the season's end, he had scored but one point and junked numerous chassis. Without powerful backers, his F1 career would have ended there and then, particularly if the other drivers had been given a say. He simply scared them all with his highly unpredictable driving. However, Andrea spent 1982 and 1983 with Alfa Romeo. He came third at Monaco in 1982 but he could have won. Lying second going on to the final lap behind Didier Pironi, he was gifted the lead when the Ferrari's electrics failed but, cruelly, Andrea had run out of fuel.